What do you think of when the word “archery” is mentioned? Katniss from The Hunger Games, Hawkeye from The Avengers and Legolas from The Lord of the Rings are just some of the famous characters who come to mind. At Raffles Archery, handling fancy equipment and hitting targets are but just one small part of what we do as a CCA. While this may not be apparent on the big screen, a good archer requires three main things: consistency, physical strength and mental conditioning. 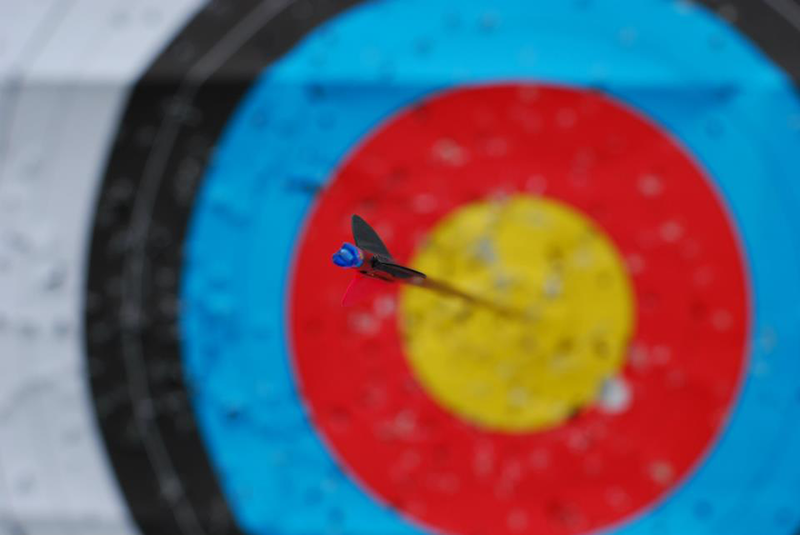 Only with these three qualities can one achieve excellence, and Raffles Archery’s training programme seeks to fulfill all these areas to make every member a well-rounded archer. With a dedicated gym trainer and workouts specifically catered to the needs of archers, weekly gym training seeks to help archers reach their optimum strength and physical conditioning. Two additional three-hour shooting practices under the guidance of our coach, Ken Ang, provide archers sufficient time to become proficient and consistent in their form. This allows archers to maintain both accuracy and precision in their shooting. Finally, holiday training camps not only help the team to bond, but help archers focus and concentrate through various activities. Our training programme gears us up for various competitions – both local and international. The main focus is the Inter-School Archery Championship which takes place around April-May. However, over the course of your two years in Raffles Archery, you can also expect to have the opportunity to participate in competitions hosted by NUS, Singapore Polytechnic, or even overseas competitions in Thailand, if selected. While archery may largely be an individual sport, Raffles Archery takes team bonding very seriously, as we view it as an integral part of honing great archers. Apart from individual excellence, we also look out for one another and ensure the whole team is progressing together. This is possible as each and every archer readily helps his or her teammate remedy any problems that they might have, be it during or outside of training. Raffles Archery does not train individual excellent archers; we train a team of excellent archers. 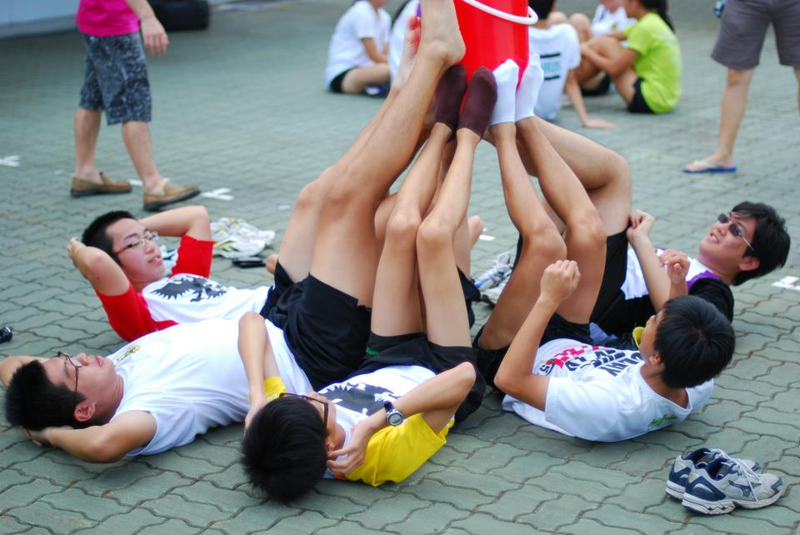 Raffles Archery selects less than 20 members every year, and we have a strict but fun selection process. Interested students have to go through a pull-up test (for boys) and inclined pull-up test (for girls) in addition to a push up test. Each participant would also get a chance to hold a practice bow and shoot a few arrows. He or she will then be graded on shooting form and general strength. There are two important things to note if you are interested in joining the team. Firstly, it is highly encouraged for you to purchase your own set of equipment, which can amount to $1000-$2000 depending on the grade of equipment. But not to worry, as there will be alternatives and avenues for financial aid for those who require it. 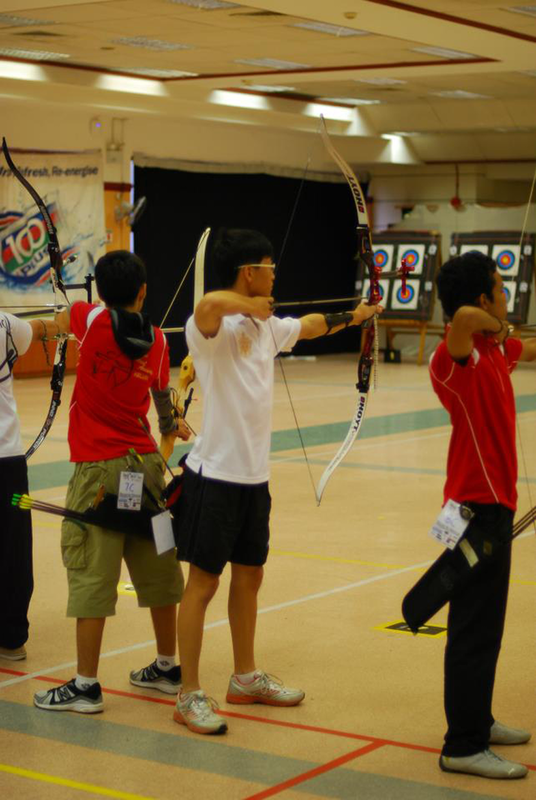 Secondly, archery may not be considered for the National Colours Award in 2013 as it is currently not recognized by the Singapore Schools Sports Council (SSSC). This is subject to change, but there will nonetheless be an interschool competition hosted by Archery Association of Singapore (AAS) every year. That being said, archery is no doubt one of the rare sports that can only be found in a few Singapore schools. With the support from Raffles Institution, this is indeed a precious opportunity for interested students to practice the sport at Raffles Archery. 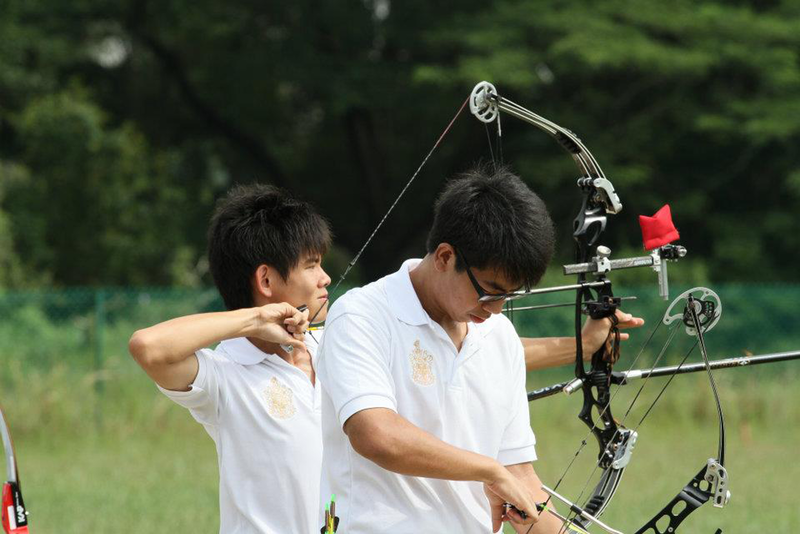 We urge you to consider Raffles Archery as your CCA of choice and we look forward to seeing you at the trials. There are no myths to dispel about Writers' Guild; every myth is taken seriously by trivial people and recorded as Fiction. As Charles Dickens never wrote, "You can only form the mind of reasoning animals upon Fiction: nothing else will ever be of any service to them." If you are searching for recluse in a parallel world of magic, consider taking a step through the unmarked door and joining the Guild on an unparalleled adventure into the unknown.